Remember when we told you how crazy quantum measurement is? Well, Australian quantum researchers from the Centre for Quantum Computation and Communication Technology have (finally) been able to pinpoint the exact location of a single atom in a silicon crystal, a feat that used to be practically impossible without knocking atoms out of their original location. “We were able to obtain high-resolution images of individual phosphorus and arsenic donors below the silicon surface,” says University of New South Wales (UNSW) and study co-author Dr Juanita Bocquel. The researchers placed individual phosphorous atoms in a silicon crystal, as these atoms are great candidates for being used as quantum bits, or qubits. And the relation to quantum bits is precisely why the work is so significant, as accurately locating qubits would help us produce super fast, accurate computing power due to the multiple states that qubits can be in (compared to the binary system our current computers use). Lloyd Hollenberg, CQC2T Deputy Director and professor at the University of Melbourne, heads a large-scale theoretical program and combines these efforts with data based on images taken using atomic-resolution scanning tunnelling microscope (STM), an invention that won its creators Gerd Binnig and Heinrich Rohrer half a Nobel Prize in Physics (seriously, half) in 1986. University of Melbourne’s Dr Muhammad Usman, who led the study, says the images were actually difficult to make sense of at first. “The images showed a dazzling array of symmetries that seemed to defy explanation, but when the environment of the quantum state was explicitly taken into account in the theoretical treatment, suddenly the images made perfect sense,” he said. The success of the new system takes us one significant move closer to refining techniques that would enable us to build a silicon-based quantum computer, and it will, hopefully, usher in a more accurate quantum computing architecture. Hollenberg notes how detailed the images were, giving away the accurate location of the atom. 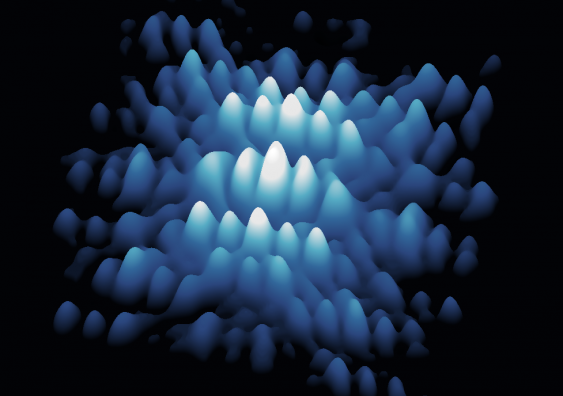 “The STM images have remarkable detail, showing the tendrils of the donor’s electron wave function protruding from the silicon surface interacting directly with the scanning STM tip. The final images are therefore highly sensitive to the absolute location of the donor atom,” he adds. CQC2T received hefty funds last year including a $26 million investment from the federal government as well as a $20 million pledge totaled from the Commonwealth Bank of Australia and Telstra. And rightly so, the investments are proving to be worth it. After several years of trying, taming the seemingly unyielding world of quantum measurements is finally showing some glimmer of hope.